Lillian (MacIntosh) Ross was the 14th child of a family of 15 born to Donald and Sadie MacIntosh. She collected over the years while a teacher, the material that became the creative non-fiction Trilogy: "The Gentle Gamblers," "The Tender Years," and "A Full House." Through family letters, memoirs and interviews with others who knew the MacIntosh Family, she collected the information that went into the making of the Trilogy of True Pioneer Stories extending back many years before she was born. Other historical novels have been added (see book index) of pioneer adventure, romance, comedy, tragedy, mystery and even a ghost story and it all really happened in Canada's West. As well as being a retired schoolteacher, Lillian, mother of two sons, is a singer with a band of three other women, community volunteer, and homemaker on an acreage near Drayton Valley. She and her husband, Reg, played music in bands for many years, as well as many other volunteer community activities. Read a talk Lily gave about her books. Iris Tuftin, a retired school teacher, has lived the rodeo life. 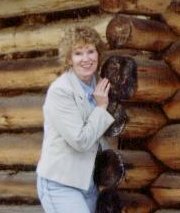 On a ranch in Alberta with her husband, Nels, she has become knowledgeable and proficient with horses. 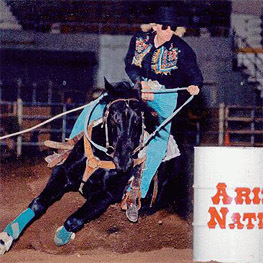 Her claim to fame in the rodeo was with barrel racing in The Canadian Finals in 1985 and 1986. Both sons have made names for themselves at the professional level in rodeo. Daren was a bull fighter at all the big rodeos in Canada and worked the Canadian Finals Rodeo in Edmonton, doing the serious work saving bull riders. In addition, he entertained audiences as a clown for many years, filling the down time with his antics and dare devil tricks. Son Dean was the first (and so far only) Canadian team roper to qualify to the National Finals Rodeo, which he accomplished in 2007. Iris and husband Nels enjoy winters in Arizona horse training. Iris spends her limited down time studying Spanish, writing screenplays, playing keyboard and singing. Mavis Lowry was raised on a small mixed farm near the northern Alberta village of Sangudo. At the age of 18 she was qualified to teach and sent to the even smaller community of Darwell for her first job as the grade two teacher. Mavis grew up without running water, TV, or telephone, but enjoyed many of the amenities and challenges of rural Canadian life most of us never knew about, or have forgotten existed back in the good old days. In her memoir, Mavis recalls those 1950s and early 1960s in a poignant manner, including a great deal of Canadian social history. After twelve years spent as a stay-at-home Mom and taking University courses, Mavis earned her first Degree from the University of British Columbia and began teaching in Abbotsford. A Master of Arts Degree from UBC followed. 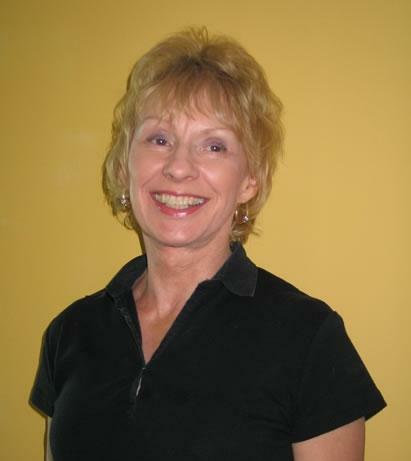 After becoming president of her local Teachers Association she went on to a long and rewarding career as Assistant Director at the BC Teachers Federation, retiring in 2005. Mavis now enjoys her children (four of them), her grandchildren (five), and one great grandson. She does volunteer work, providing music for seniors in Nursing Homes. Mavis still loves to play piano and guitar, sings, and writes. She enjoys the life downtown Vancouver offers where she lives in a Coal Harbour condo with her husband, musician and music therapist, David Woodward.